join the ford professional service network today! 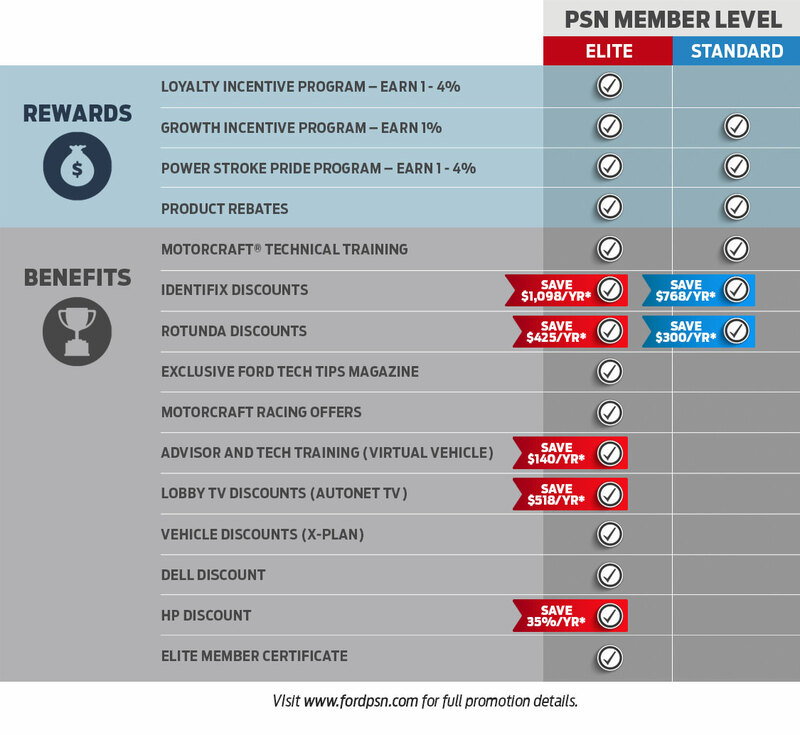 To reward your loyalty, we will be offering two membership levels in 2019 - Elite and Standard. When you sign up, your purchase history for the past four quarters will be evaluated. 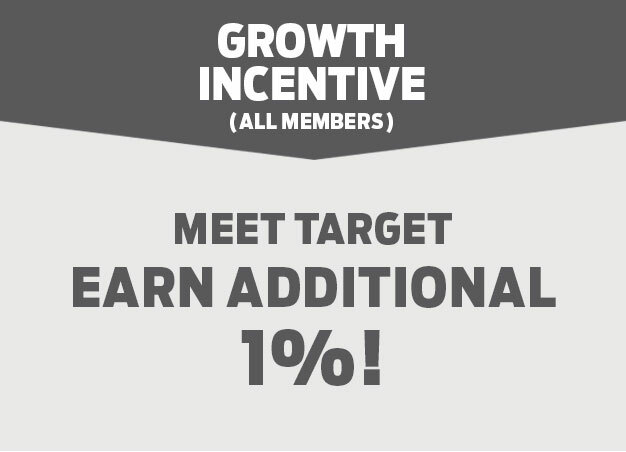 If you averaged over $5,000/quarter during that time period, you will be qualified as an Elite member. 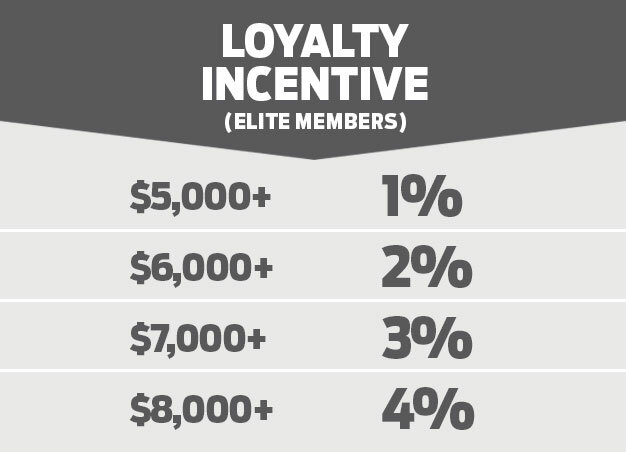 If your purchases fall below $5,000/quarter on average, you will become a standard member with the opportunity to earn Elite status in future quarters. 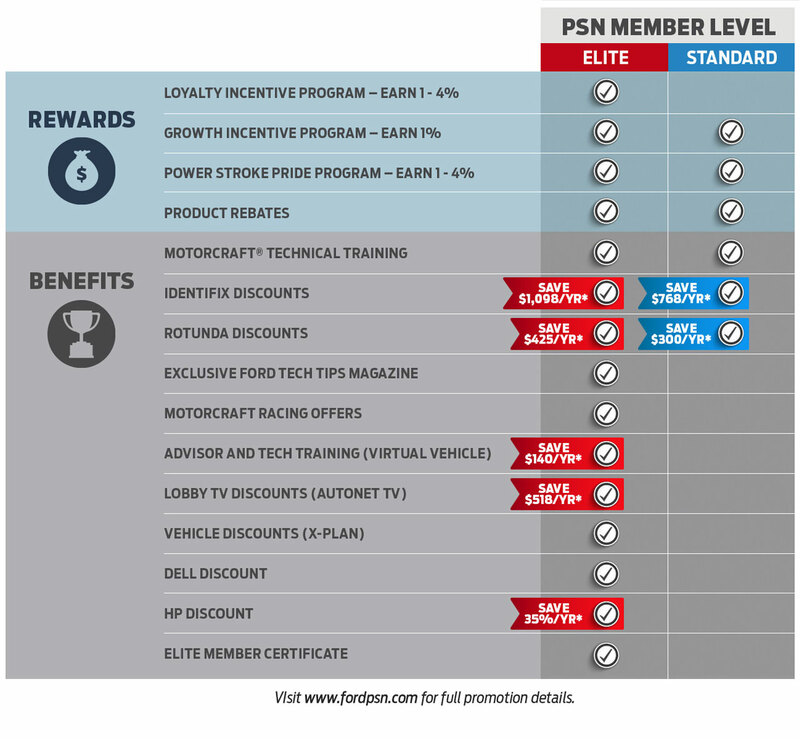 To qualify for Elite membership, simply purchase $5,000 or more in qualified Ford, Motorcraft®, or Omnicraft™ parts in a given quarter. Once you are qualified, you will maintain your Elite status through the remainder of the calendar year.